iSpring Suite 9 introduces the new video studio to help eLearning developers produce a comprehensive set of video-based learning materials. The new version adds twice as many eLearning scenarios keeping content authoring process streamlined and easy. 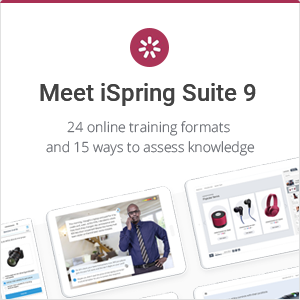 Alexandria, VA — April 24, 2018 — iSpring Solutions, Inc., a global leader in eLearning software and services, today unveiled the brand new iSpring Suite 9. It introduces 75 new options and 6 video formats for creating advanced eLearning content. “The common drawback of advanced tools is that they become too complicated and lose ease of use. To prevent this, we’ve completely redesigned quiz, video, and interaction editors”, says Slava Uskov, VP of Product Development at iSpring. “The power of version 9 is that it helps you implement twice as many eLearning scenarios, while the authoring process has become easier”. Interactions. With iSpring Suite 9, you can create interactive simulations, catalogs, and charts in minutes. The toolkit includes 12 beautifully designed interaction templates which let you easily visualize a transaction cycle or new device interface, or create a virtual office tour. You can test drive and evaluate the new capabilities of iSpring Suite 9 with a fully functional trial. Download it for free at the iSpring website. More than 50,000 customers from 155 countries choose iSpring for its reliability and high performance. 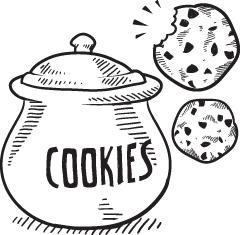 The customer list includes 148 of the Fortune 500 companies, government agencies and educational institutions worldwide: Google, Sony, Tesla, Amazon, Boeing, Dell, Nike, United Airlines, Starbucks, Booking.com, and MIT, Stanford, Harvard and Berkeley Universities. For more information, visit our official website. The power of the new iSpring Suite 9 is that it helps you implement twice as many eLearning scenarios, while the authoring process has become easier.